This article will cover some basic facts concerning the Google Glass, contain some very bias viewpoints of my own and round off by asking YOU the reader, where you stand on this quite fashionably sassy looking accessory. Yes, that picture, to me, is the epitome of tech fashion, awesome right (cue awkward silence). Right people, firstly, Google Glass, as shown above is a wearable tech that comes in the form of glasses. Its features consists of a touchpad located on the side of the device, a screen just off the centre of the right lens and a camera that has the ability to take photos and record 720p HD video. The current Google Glass is still in its development stages, with the explorer model having been released in February 2013 and a wider release of the same model having been released in the US May of this year, for the general public. So the main question is what are these big guns I refer to? The main software features of the explorer model can be categorised by their functions, as highlighted on the website dedicated to the Glass. Strava Run: Allows people to track their runs with GPS, analyse their performance and get better generally. Field Trip: An app that basically is your tour guide on holiday, without the extortionate tour guide prices. Compass: Well, who doesn’t need a compass, eh. 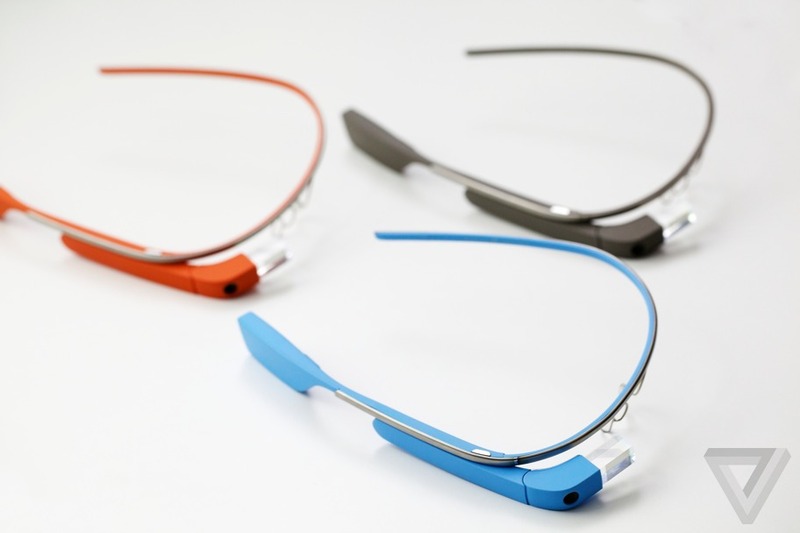 Lastly, the main charm (in my opinion) is that Google Glass lets you live lighter in an ever-increasing tech world. Camera/Video: No more odd arm postures when posting food pictures on Instagram with a more flexible camera and video that can take a picture or video when your hands are busy, with the awesome voice command system. Personally, as advancement in technology, Google Glass is as necessary in today’s world as baked beans on toast (that’s pretty necessary in my books). The prototype has been trialled by a surgeons in relaying first hand, live surgeries as a tool for education. Furthermore, this awesome piece of tech, for someone like me who loves travelling and exercising to the point of masochism, I can pretty much say, Google Glass is my saviour in monitoring myself in real-time, now I can run and regulate my runs and listen to music, all without looking awfully out-of-place. To finish off my Google Glass article, I return to YOU the reader. For those of you who read this, I ask you… Is this a tech you will be willing to splurge on? Currently, the beta, explorer model is priced at around £1000!!! But fear not, once this hits the high street as a consumer good, it is forecasted to be priced similarly to a smartphone, around £400-500. So once again -> will you buy this next giant leap into the future of technology? Syd’s Verdict: Firstly, a massive thanks to returning guest author Subane, who has written such a fantastic review for EssWhyTech once again! Right, Google Glass and me have always had a very bittersweet relationship. I try to see the positives of such but I always end up identifying its flaws instead. You’d understand if you read my review I wrote last year HERE. Anyway, this was a hugely entertaining read if I must say. When we discussed the topic, I wondered how he would produce a post about Google Glass two years down the line and make it readable but somehow this was a brilliantly refreshing perspective on Google Glass. I actually may have changed my view on the device after reading this, It has highlighted many positive aspects such as its potential use in the health industry in a professional environment, something which I would’ve deemed impossible two years ago. I was lucky enough to test out a virtual reality simulator in Oculus Rift earlier this year and although it is still being developed, it definitely impressed me. We really are moving into the future of technology, faster than ever before. Regarding the price, I wouldn’t pay a similar price to a smartphone for it in all honesty. Maybe if it was a tad less I’d consider it, otherwise it’d just be surplus for myself and since it isn’t widely available at the moment, I don’t expect the prices to drop by much anytime soon. Let’s see if there ever is a Google Glass 2. Do tag @EssWhyTech and #GoogleGlass on Facebook and Twitter when you share this article! I have way more guest bloggers on the way, so stay tuned! Visit The EssWhyDee Blog now! This entry was posted in Guest Blogs, Other Reviews and tagged Android, google Glass, guest blogging, tech, Technology. Bookmark the permalink.